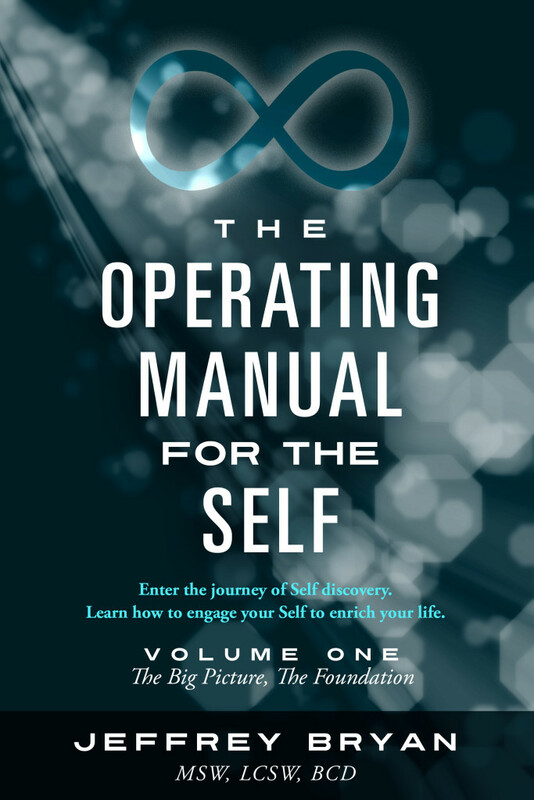 What an impressive compilation—it’s no surprise it’s taken more than four decades to accumulate all the wisdom in The Operating Manual for the Self. I have no doubt readers, whether they be clients or those independently curious about self-improvement, will be deeply touched by your book. If you have a Self, you need a manual. Put your Self in the driver’s seat with this empowering, easy-to-use guidebook. From our cars to our computers, we insist on having an accompanying instruction manual. Yet when it comes to operating the most important “device” of all—our own Self—we often remain completely in the dark. No more. In this unprecedented book, expert psychotherapist Jeffrey Bryan offers an illuminating look at our wonderfully complex Selves. His fascinating insights and powerful suggestions are culled from 37 years in the field and over 40,000 clinical interviews. The Operating Manual for the Self shows you how to work with your thoughts, feelings, and actions in a safe, nonjudgmental way. The Manual helps you identify frustration and pain, and shows you what causes these feelings and how to deal with them. As you understand, encounter and challenge any part of your Self, you’ll discover that change can be triggered in several aspects of your Self at once. Jeffrey Bryan is a licensed clinical social worker and a board-certified Diplomate in Clinical Social Work. He is the founder of the International Institute for Self-Development (IIFSD), a nonprofit organization devoted to helping people awaken and develop their potential. Mr. Bryan obtained his Master of Social Work degree in 1978 from the Adelphi University School of Social Work. Since entering the field of mental health, he has been a practicing psychotherapist and a supervisor. His multimodal practice includes cognitive therapy, couples therapy, and psychoanalysis. To learn more about The Operating Manual for the Self, Mr. Bryan’s work, and the IIFSD, visit IIFSD.org.